The River Ganga is under threat. The Himalayan glaciers that feed directly into the river could vanish by 2030, according to a recent report by the United Nations. In India, the river Ganges, or the Ganga, is not just a river. The Ganga is a place of deep spiritual significance, worshiped as a goddess, considered like a holy mother. But the Ganga is under threat. The Himalayan glaciers that feed directly into the river could vanish by 2030, according to a recent report by the United Nations. 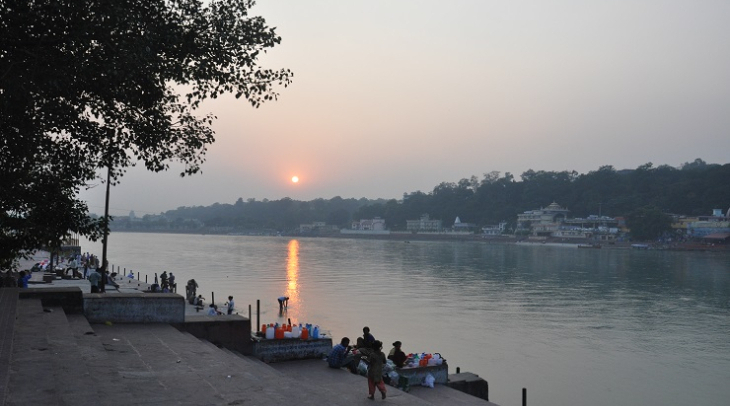 Asia Calling’s Jasvinder Sehgal travels to the banks of the Ganga in the northern town of Rishikesh to find out more. The sun is setting and hundreds of people have converged on the bank of Ganga. Many of them are dressed in saffron clothes and they’re seated around a pyre, as they sing hymns in praise of the river goddess. The smell of sandalwood incense floats heavily in the air. But the prayer rituals carried out at the water's edge may not last forever – or even another generation. Swami Chidanand Saraswati is leading the prayers and says Indians are obligated to protect the holy river. “To me if Ganga dies, India dies. If Ganga thrives, India thrives. Losing a glacier means losing life, water is life, water is a blessing. That’s why it’s our prime duty to save the glaciers,” said Swami Chidanand Saraswati. The Ganges has long flowed thick and strong. But researchers say that climate change is having a serious impact on the holy river. Rising temperatures are causing the glaciers that feed the river to melt at rapid speeds, explains geography professor BG Sharma. “In this area the temperature has risen by 0.9 degrees. Due to the rise in temperature, the glaciers are melting so fast. At this speed, there are chances that by the year 2030, these glaciers that feed the Ganges won’t exist anymore,” Sharma stated. Professor Sharma has been studying the glaciers in the Himalayan mountains for sixteen years. Globally, the Himalayas are a significant region for glaciers. Professor Sharma tells me the glaciers are receding by 23 meters every year. Back at the prayers by the river I meet senior journalist Mahesh Sharma. He wrote a book about the history of the Himalayas and travels to the glaciers every year. In the past three decades he has seen radical change in the glaciers. The are many glaciers in the Himalayan region. One of those glaciers, called the Gangotri, provides up to 70 percent of water to the Ganges during the dry summer months. It is shrinking at a rate 36 meters per year—nearly twice as fast as it was 20 years ago. Sixty-eight-year-old Chote Lal Chaurasia has run a cobbler shop at the banks of Ganges for the last 45 years. He has noticed a change in the river too. “Four months ago, the level of the river Ganges suddenly dropped. The 1,568-mile Ganges provides water for drinking and farming for more than 500 million people. The World Wildlife Fund has listed the river Ganges among the world's most endangered rivers. And people here in Rishikesh are deeply worried about the fate of the river. On my way home I start talking to taxi driver Bharose Nand Kukreti. Bharose is 48 now and he tells me that as a child there was big waterfalls connected to the river that he used to play in. Now, he says, they are just tiny streams, and the river is polluted.